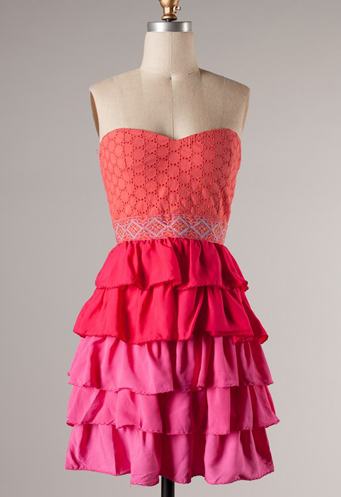 I've been looking for a dress that was strapless with a sweetheart neckline and bold colors for a month or so now, and finally found one I fell in love with. Unfortunately, the measurements for a large are just a few inches in the waist too small for me (what kind of world is it where a large is sizes 6-8???). Fortunately, now I have an actual goal to work towards so I can be motivated! Chicken and broccoli for the rest of my life until I can own this dress. Found it here, thanks RenoDakota for recommending this site on vivaciousvicious' GT post! !